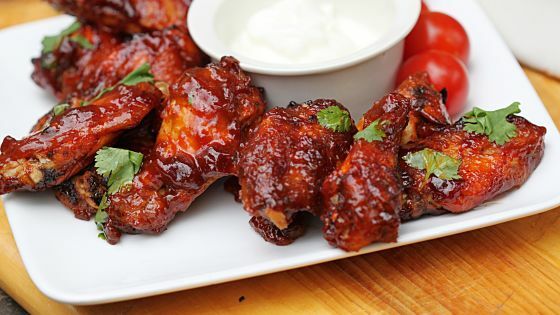 You can’t have a Super Bowl party without a heaping platter of chicken wings. 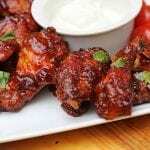 This year, football fans will eat 1.3 billion chicken wings during the big game. And, you can’t have chicken wings without people like Lee Richardson. He’s a fifth-generation farmer who raises chickens and grows corn and soybeans on his family farm near Willards on the Eastern Shore. His farm is a typical operation. He has six chicken houses, which hold a total of 150,00 birds. Five or six times a year, truckloads of fluffy baby chicks arrive at his farm. They leave about seven weeks later as 6-pound broilers. In 2017, Maryland’s 700 chicken farms grew 300 million broilers. While that sounds like a staggering number of birds to keep track of (and it is), they receive lots of care. Richardson’s day begins early. He’s up at dawn to check the houses. He makes sure the birds have feed and water and that the temperature in the houses is correct. He’ll visit each house several times a day. The rest of the time, he tends the never-ending chores around the farm. In the summer, he has 2,000 acres planted with corn and soybeans. Those crops become chicken feed. In winter, he grows winter wheat as a cover crop. That helps stabilize soil against wind and water erosion and increase soil health. When one flock of chickens leaves, Richardson starts three weeks of preparation for the next one. The barns are cleaned. The manure is winnowed into piles in the middle of the chicken house to compost it. The manure, or chicken litter, is a nutrient-rich, organic fertilizer that farmers will use on their grain fields or sell as a slow-release fertilizer. Savvy gardeners look for composted chicken litter pellets in garden centers to use in their flower or vegetable gardens. It’s all about keeping the birds happy and healthy, which prevents illness in the flock. Although food labels tout “antibiotic-free” meat, antibiotics are not routinely given to flocks. It’s simply not necessary because good feed, good breeding and good care allows them to grow naturally. Likewise, labels that proclaim “no hormones or steroids added” are misleading in that hormone and steroid use in poultry is illegal and has been for more than 50 years. On the rare occasions when antibiotics are needed, a strictly enforced period between using the medication and processing the birds is observed. That ensures safe, wholesome food for Richardson’s family and yours. Another key to preventing illness in the flock is to minimize exposure to disease. Strict biosecurity practices are followed on farms. Keeping the birds in chicken houses limits their exposure to airborne pathogens, disease and predators. There are no casual visitors to the chicken houses, and the farmers are careful to prevent any contamination. “We have different clothes that we wear, and different shoes. We step into a dry chlorine bath to kill any pathogens before we go into the chicken house,” Richardson says. Even outside the houses, bees buzz in the trees, grasses and shrubs that are planted to help maintain comfortable temperatures for the chickens. These keep the houses warmer in the winter and cooler in the summer. The vegetation has the added benefit of screening noise, aroma and sight of the barns for neighbors. When Richardson’s flock goes to market, it can feed customers in Maryland and abroad. Twenty years ago, chickens were usually sold as whole chickens. But as lifestyles changed, so did consumer demand, according to James Fisher of the Delmarva Poultry Industry, Inc., the regional trade association. “Consumer tastes diversified. Today, people want tray packs and different chicken parts. There’s a need for convenience and quickness,” Fisher says. The chicken wing is a perfect example of this. Wings were once considered a waste product with no commercial use. Now, no party is complete without some version of wings.